Empowering a healthier, confident you! 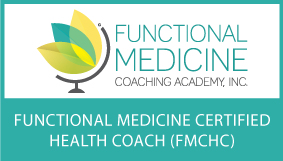 Kim is a Functional Medicine Certified Health Coach (FMCHC). She also holds certifications in group fitness and personal training. 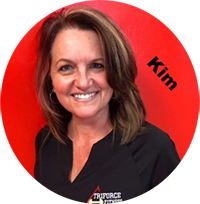 Kim takes the holistic approach to fitness incorporating the three tiers: accountability, nutrition and fitness. She loves to incorporate fun into her fitness by tapping into the little girl with her hula hoop. Stop in and ask her how the hula hoop burns calories. Jennifer primarily works from home, but you will find her occasionally behind the TriForce desk. She holds a certification in personal training and loves to help people reach personal fitness goals. Jennifer enjoys spending time outdoors, hiking and biking. In her down time, she loves a good book. The next time you see her here, ask her about her last one. Carrie holds a personal training certification with The American Council on Exercise (ACE). Carrie is a Zumba enthusiast and holds various Zumba certifications, including STRONG. Carrie enjoys reading, shopping, gymnastics and her family. Carrie makes fitness fun with her cool Zumba moves. Stop in and ask Carrie to show you a few cool moves. Ashley holds certifications in yoga and personal training. She enjoys spending quality time with her family. She has a passion for fitness and believes yoga should be incorporated in any wellness program for holistic healing and recovery. Stop in and ask her to show you a few yoga stretches. Monday – Thursday 11:00 a.m. – 7:00 p.m.